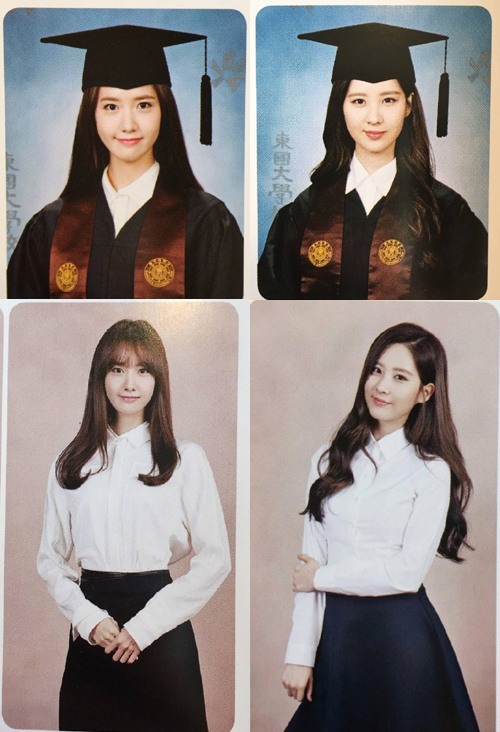 K-pop girl group Girls’ Generation members Yoona and Seohyun’s yearbook photos have gone viral, surprising many netizens with their pretty figures. In the graduation photos, they pose in a graduation cap and gown or in a tidy blouse and skirt. The two idols, majoring in theater and film studies at Dongguk University, will graduate in February.